Graham Environmental Services, which includes Pest Control, Cleaning and Hygiene Services, Washroom Services and Fire Protection is your one stop shop for all your needs. We have experience providing a professional service to a variety of sectors. Our list of clients includes hotels, restaurants, care homes, golf clubs, pubs, takeaways, factories, sports centres, and many more. It is now a requirement of increasing numbers of food producers and food outlets that their premises are audited regularly with pest control measures in place and properly protected to comply with the high standards set by industry regulators and health and safety inspectors. 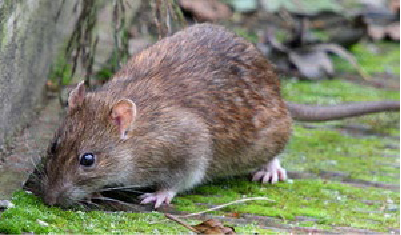 Graham Pest Control offers a professional and speedy service to deal with your commercial pest control needs. We use our experience to find effective solutions and treatments that suit you and your business. Highly trained and qualified technicians will attend and carry out regular visits to ensure your business remains pest free and any infestations are dealt with immediately. One call to Graham Pest Control and our friendly staff will deal with your request or direct you to the appropriate person within the company to answer your questions. Within our washroom division we can offer a complete service tailored to the needs of your business. We can supply, fit and service sanitary bins, nappy bins, air fresheners, urinal sanitisers, eco-shields, soap dispensers, water managers and many other items. 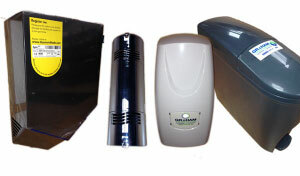 We can also supply and fit hand dryers to suit your premises, including the complete Dyson range. Give us a call on 0800 14 65 44 to find out more about our washroom services. Graham Hygiene Services specialise in kitchen cleaning to meet your insurance requirements. We can offer full kitchen deep cleans, extraction cleaning, and kitchen equipment cleaning. No job is considered too big or too small and free quotations are available on request. We also provide you with before and after photos, as well as a certificate of hygiene for all work carried out on your premises. Whether you're looking for regular deep cleaning or a once a year blitz, Graham Hygiene Services can cater for your needs. 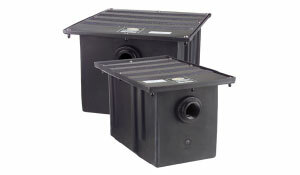 Grease trap maintenance carried out on a routine basis helps prevent accumulation of waste that is unpleasant and potentially costly to your business. 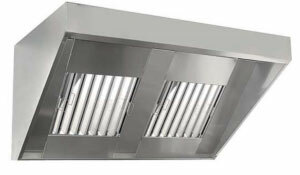 Graham Hygiene Services can supply fit and maintain kitchen grease traps as well as regular emptying in accordance with the new Waste Disposal (Scotland) Regulations 2012. 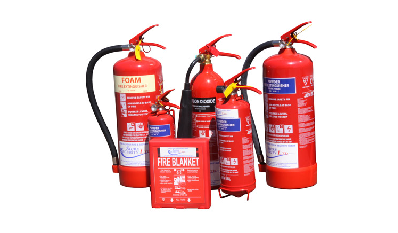 Graham Fire Protection specialise in the supply and maintenance of all types of fire extinguisher and fire blankets. We also offer Fire Risk Assessments, Staff Fire Awareness Training and Fire Safety Signage, recommendations and installation. Thus giving you complete peace of mind to ensure you and your staff remain safe from fire and to ensure your business remains compliant for your insurance requirements. 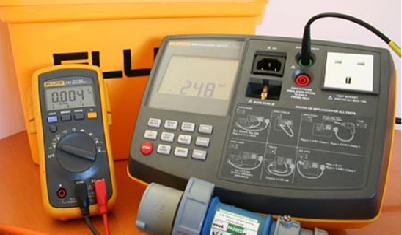 Portable Appliance Testing is an important part of any business’s health and safety policy. Graham Environmental Services can provide testing carried about by qualified technicians and in line with the IEE Code of Practice. 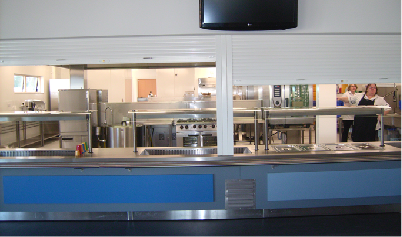 Graham Hygiene Services offer full house clearances. 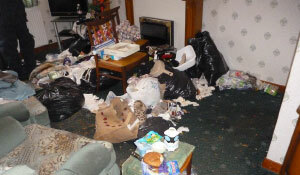 Councils, housing associations and letting companies may require a house clearance prior to new clients taking residence. We can also carry out needle sweeps and graffiti cleaning. If the property needs to be totally emptied, cleaned and disinfected or both, call us on 0800 14 65 44 for a quote with no obligation. 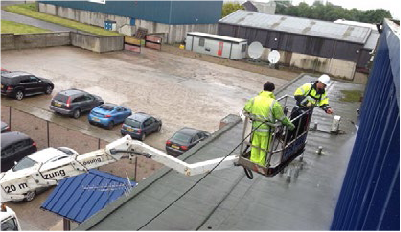 After every new development someone has to take care of the hygiene requirements before handover to the customer. Graham Hygiene Services offer a professional cleaning service using specialist equipment for dust removal and other hygiene requirements. We have experience dealing with developments such as schools, hotels, restaurants, colleges, shops, flats, and houses, so you can be rest assured that we can take care of your specific business needs.